Overdenture treatment provides an esthetic and functional result that allows proper access for hygiene and maintenance. In addition, with their improved strength, zirconia ceramics may be used to restore removable partial denture abutments in areas previously limited to metal or metal-ceramic restorations. The electroforming process makes for a viable, convenient, and economic alternative to cast metal substructures. However, limited data are available on the use of telescopic crowns on implants. 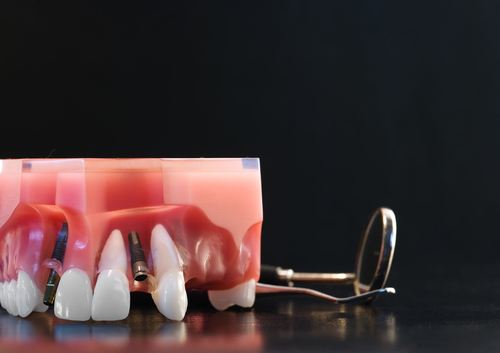 Compared with the use of fixed implant-supported dentures, this treatment modality may improve esthetics and oral hygiene access, reduce the need for implants, and provide sufficient denture support in cases where single abutments have failed. Furthermore, the high retention obtained with telescopic crowns leads to good mastication and phonetics.